'This is a priceless treasure chest of 100 classic devotionals by Christian writers from the 16th to 19th centuries. Includes devotionals from 24 authors. 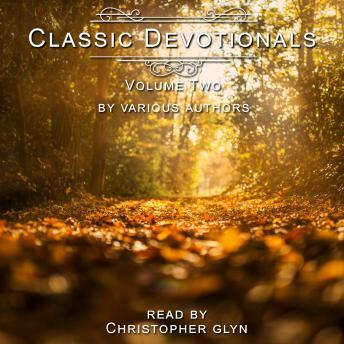 These deep and spiritually feeding devotionals are brought to life for a modern audience by British narrator Christopher Glyn.